Bright fall colors combine to make this queen size patchwork quilt a real beauty! 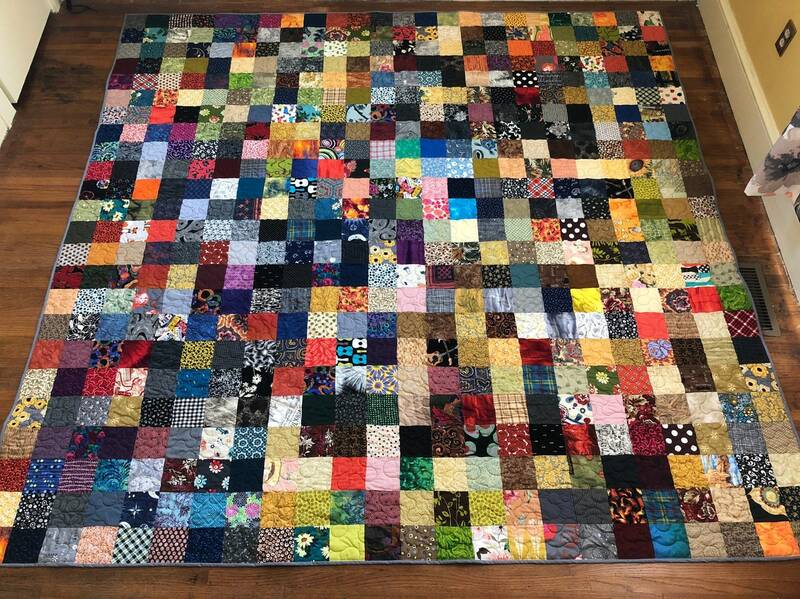 Quilt measures 96" X 96". The backing fabric is a gray mottled leaf design. The double folded machine sewn binding is a rich gray fabric. All fabric is new quilt shop quality fabric. We cut it into 4.5 inch squares and then sew it back together. Sounds nutty but that is what quilters do! Quilt will get softer with each wash. Thanks for visiting QuiltsModern~traditional quilts made the modern way!